A POS system revolutionized the way bars and restaurants operate, making it easier to manage a business. It can come in handy in a number of ways, such as tracking and recording of sales. However, while there are many options with their respective promises, this should not be an excuse to choose just any system. If you are on the lookout for a POS system that can be used for effectively managing your bar and restaurant, read on as we list down some of the top picks. Before we start listing down our recommendations for the best bar POS system, allow us to give you some compelling reasons on why you should invest in one. · Inventory Management: One of the best things about POS is the fact that it makes it easier to manage the inventory. This way, owners and management can track if there are items missing or if there is a need to order new supply. · Menu Management: A POS system also makes it possible to keep up with the changes in the menu, such as deals and promotions of the establishment. 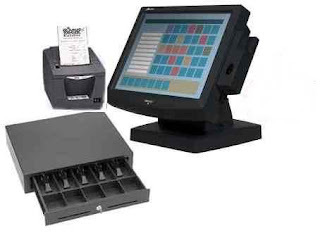 · Tab Management: This is one of the best uses of a POS system for bars and restaurants. It automates the entire process, making it easier to determine the bill of each table. This also makes it easy to split checks. It can also be used for pre-authorization of payments. · Advertise Latest Promotions: In this digitally-connected age, a POS system can also be an effective platform for advertising your latest promotions in your social media accounts. It helps to boost the marketing efforts of your business. Now, let us have a quick look at three of the best options that you are sure to not regret. They have been given words of praises by their users in the past, which should already provide you with peace of mind. If your establishment has high-volume operations, this is one of the options that should be on your radar. Specifically, if you have five or more registers, you will not regret choosing this over its counterparts. It can be a bit pricey for some, but when you look at its features and functions, you will realize that the price is indeed worth it. In 2018, TouchBistro hasbeen ranked as the 24th fastest growing company in Canada, which speaks volumes about its performance and what you can expect from its use. As the company claims, Touch Bistro is built for restaurant people, by restaurant people. The creators know exactly the basics of running a restaurant, so they created a way to make it more manageable. The company also notes that it seeks to do three things to its clients – increase sales, improve service, and inform decision. This POS system is used in more than 100 countries, which is one thing that can provide you with peace of mind. To add, it is also multi-awarded, including the recognition for the 2017 and 2018 Best Restaurant POS. As for the pricing, they offer flexible solutions for everyone. For the software pricing, there are four plans that are available – Solo ($69 per month), Dual ($129 per month), Team ($249 per month), and Unlimited ($399 per month). All these plans are billed annually. This is highly-recommended for bars with multiple locations, making it an all-in-one place to manage the operations. The multi-location management makes it possible to create a centralized system to streamline the operations. If you decide to choose this POS system, some of the things that can be enjoyed include mobile device access, split checks, offering customer loyalty program through a third-party, and scheduling prices based on a specific time, such as happy hour deals. For their pricing, the most popular plan starts at $99 per month. With this, you will be able to manage one register, be provided with up to five employee accesses, personalized on-boarding, and multichannel support, among other benefits. A company based in Boston, Toast grew itscustomer base from 25 to tens of thousands in its five years of operation. They provided a cutting-edge technology, which has often been ignored in the restaurant and bar industry. Traditional software structures have been replaced with a more innovative approach through Toast. Among others, Toast has gained an advantage because it is fully packed with features that will make it effortless to manage bars and restaurants. Some of its features include inventory management, online ordering, and analytics. The pricing isn’t bad considering everything that you can do with the system. For the standard software, the price starts at $79 per month for every terminal. They also have an installation plan, with starts at $499. There are different services that can be added, such as online ordering, loyalty program, and kitchen display screen. · Ease of Use: It is important that the POS is user-friendly, which will prevent problems in its use. Employees will not hesitate to use a technology if they know that it is free of complications, which will also be vital in improving accuracy. · Features: Often, the POS system will be more expensive if it is packed with features. Look for the essentials that will be needed in running your business effectively and efficiently. Aside from tab management, analytics is also important, as well as integration. Multi-platform and multi-location support will also be great. · Flexibility: You will also like it if the POS is flexible, making it easy to have it customized based on the specific needs of your business. For example, if you have menu and prices that often change, you must choose a POS that makes it easy to keep up. · Support: What if the software becomes problematic? What will happen if the hardware encounters a problem? The company must provide reliable support so that your operations will not be hampered in any way.